So if you asked me, I would have to say my favorite sister is Heather. She went to Costa Rica last summer to brush up on her Spanish, and she came back la Reina de la Playa, the queen of the beach. In this podcast (which is all in Spanish, by the way, so you can measure her progress from before she left) Heather tells us the top 5 things she learned during her summer in Costa Rica. There’s a bonus at the end, where she talks about some of the food she ate. Big props to my friend Tito Huapaya of Lima, Perú; who graciously provides the production music in this podcast. Check him out at thshounds.com for your own production music needs! My friend Jordan stopped by the studio today to do an interview about his life in martial arts. After 18 years of training, he’s decided it’s time for him to pass on his knowledge and become a teacher here in Seattle. In this podcast, Jordan tells stories about learning control, discovering humility, and the pride a teacher feels when a student surpasses you. Thanks as always to my friend Tito Huapaya of Lima, Perú; who graciously provides the production music in this podcast. Please check him out at thshounds.com for your own production music needs! UPDATE: Jordan wrote a guest post over at Dance World Takeover that uses his martial arts expertise to explain a new past time of his: swingdancing. Click PLAY to hear this podcast! 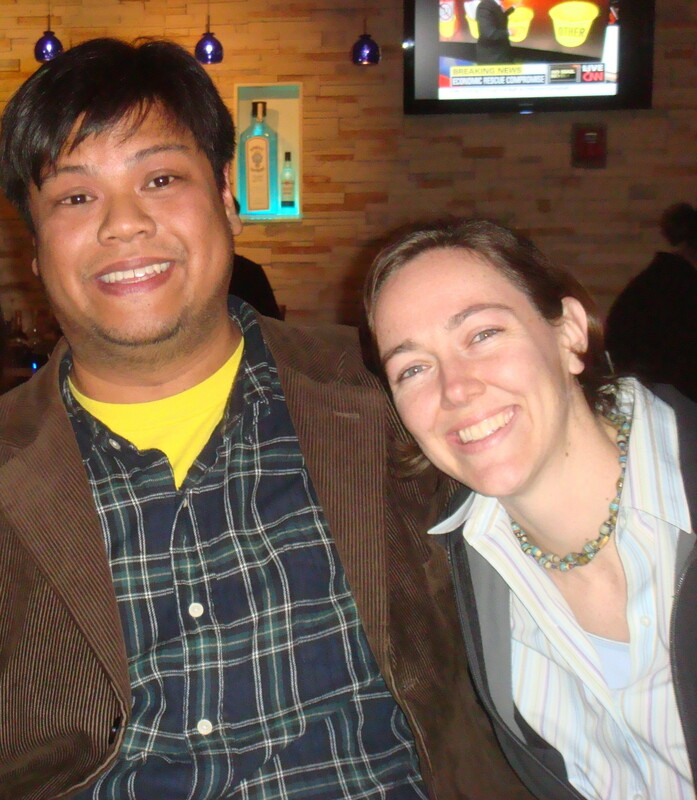 I’ve been going to the Mandarin Gate for karaoke with my friends for over a decade now. I’m not sure who, why, or how we discovered it, but I’m glad we did. 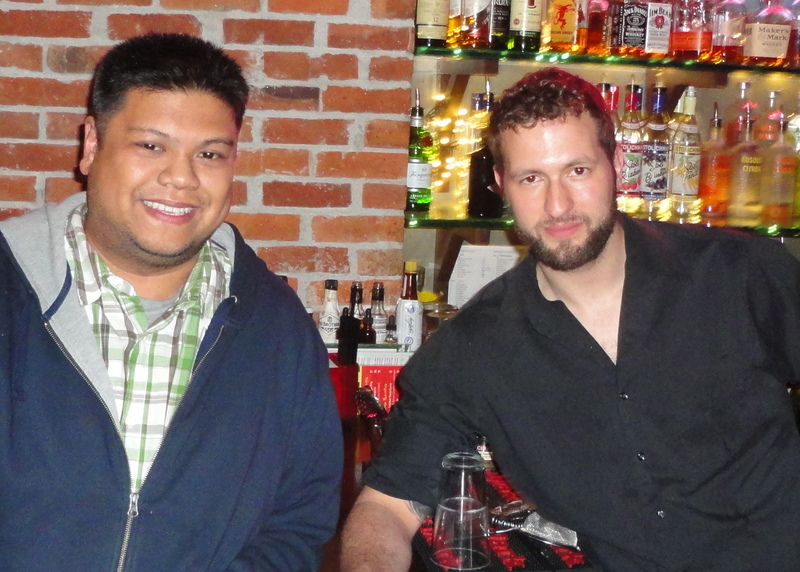 Recently I asked Danny the Karaoke Host to come to Studio Siesta for an interview and to my surprise, he was happy to. I thought he’d share some funny karaoke stories. Here’s the thing; Danny is a great karaoke host. He intros your song, he announces who’s on deck, he’ll jump in on auxiliary vocals and harmonies, he calls for another round of applause when you’re done. He doesn’t sing while he’s hosting; he keeps the rotation fast and fair, and he has a reputation for not accepting bribes for rotation jumps. Danny, the karaoke host, is as efficient as they come; and on top of that, he’s a saint. As the night went on, I tested him in ways that would normally upset & frustrate a KJ to the point of getting immediately axed from the rotation. I jumped in on a duet that I didn’t sign up for; I asked how long until I was up next; and twice I asked him to change out my selection for one I liked better–and he did it without giving me the slightest bit of attitude. Most importantly, he kept the singers and songs moving along. All told, I got up four times, and it took me less than an hour to get up between each performance. I asked him to come and do the interview about karaoke stories, and he says, sure, I’ll do that. When he showed up, he had a lot on his mind, and the interview went in a direction I didn’t expect. Sure there are a couple karaoke stories, and that was cool. But what Danny brought to the interview was an intentionality I wasn’t expecting; there’s a very concrete set of principles that informs the way Danny hosts karaoke. He’s kind of a karaoke samurai. Thanks as always to Tito of thsounds.com, who so graciously provides the production music for this podcast. This episode is the first of my new q&a series Con razón. sPod listeners will recognize the format; it’s basically a continuation of the old Pa’ que sepas show. My cohost is the lovely Nahyeli. Click here to listen in a popup! Thanks as always to the generous support of Tito of thsounds.com, who graciously provides the production music. Special thanks to Roddy Jo, Caz, Holly, Russell, Rachael, Grover, Blanca, Jill, Sam, Stevestrv, Russito, Everett, Jenny, and Mónica who all wrote questions. If we didn’t get to your question this time, don’t worry, you might hear them in a future show. Just to be clear, the questions Nahyeli and I choose to answer are the ones where the answer will (hopefully) help people in their Spanish language learning. Now, some of you all are asking questions even though you know the answers… I get questions from a professor of Spanish linguistics, from native speakers, and from other experts in the field… and if I don’t get to them, it’s because I know you know the answers, and you’re just trying to see if we have the chops to answer them. My answer: yes, we have the chops, but using podcast time to answer the “challenge” questions probably won’t help anyone learn. So sorry, we’re not answering “challenge” questions from the experts… this podcast is for the learners. On the other hand, I absolutely do appreciate when you experts have something to add, clarify, or–God forbid–correct… so please do by all means stick around and participate! Please explain the subjunctive mood. Haha, it takes WEEKS of study in a classroom to just get through the subjunctive mood… if not months. I’m pretty sure that I can’t even begin to address that in a 15 minute Q & A podcast. What’s the difference between ser and estar? Ok, in a 15 minute Q & A podcast, I can give you some tricks on how to conceptualize the difference, or some memory tricks, or even how to approach the issue (like I did in this episode’s por and para segment) but honestly, my office mate in graduate school wrote her doctoral dissertation on the difference between ser and estar. Well, maybe some of you would enjoy that, what do I know. In any case, let me know what you think of this one, and we’ll go from there. In this episode, my mama joins me in Studio Siesta to tell some childhood stories about growing up in her colorful hometown of Santo Tomás, La Unión. She tells stories about getting sent to the store (for bagoong, among other things), pooping goats, and three stories about my Uncle Johnny when they were cute little Pangasinan-speaking kids. You’ll hear about the corn, the dime, and the guavas. Thanks as always to my friend Tito from tshounds.com for graciously providing the theme and background music! UPDATE: Found the picture! 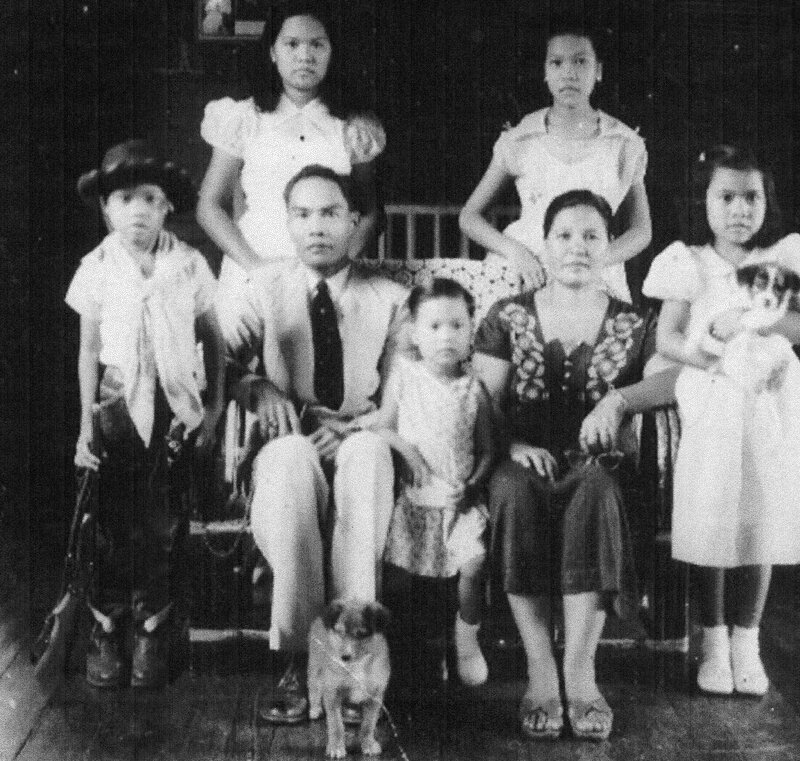 Left to right: Uncle Johnny (cowboy costume), Auntie Minda, Tatang Ismaël, my mama (center), Nanang Paula, Auntie Josefina, Auntie Rosaling (with the puppy). Click here for Acentos 0003: Erin Lives Another Day! In this episode, my once-and-future Spanish teaching colleague comes into Studio Siesta to tell us about her brush with death. Many thanks as always to Tito at thsounds.com in Lima, Perú for graciously and generously providing theme and background music. You know, Erin is on her way to Lima this summer, you and Tito should totally meet and eat ceviche! So I built a podcast studio in my guest room. As promised, the first podcast from Studio Siesta is called Acentos. It’s going to be an intermittent series of interviews of family and friends, just telling stories and entertaining ourselves. Mainly I want to remember how people sound. I’m an auditory person that way. The first episode, Acentos 0001, is recorded entirely in Spanish; my sister Heather is the guest. She is about to take a big trip to Central America for the summer, and she wanted to do before-and-after recordings to hear how her Spanish improves. In this first episode, she talks about her upcoming trip. Also, we do a couple of picklebacks to christen the studio and the series. It’s been a good long while since Heather got back from Salamanca, speaking Spanish full time… so her Spanish might sound a little rusty in this episode. We’ll see how she sounds once she gets back from Costa Rica. The second episode, Acentos 0002, is recorded in English. Heather is back as my guest, and in this one we’re playing Two Truths And A Lie. See if you can guess which stories are lies! The next episode? Not sure yet. I’ll let you know. Remind me to get some art for these posts, and to take a picture with my guests in the future. Special thanks go to my friend Tito at thsounds.com, who graciously provided the theme and background music that covers our hisses and pops! 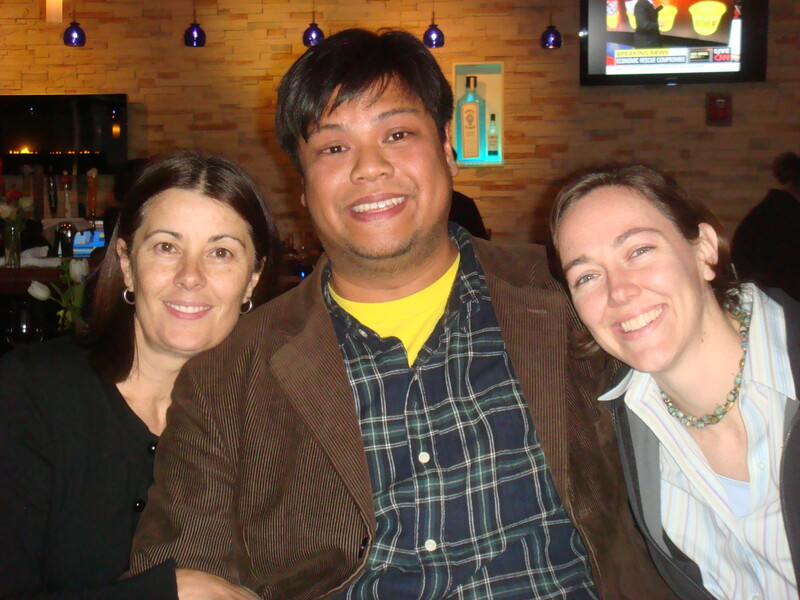 Tito is based in Lima, Peru; I worked with him closely when I was in New York City. john patrick 吉平 is a recovering expat and part time superhero from seattle. currently podcasting at Q&A Spanish. formerly at SpanishPod and spanishpod101. this blog is a record of his various humiliations, adventures, and triumphs. I'm currently hosting Q&A Spanish brought to you by the lovely Radio Lingua Network. My most recent personal podcasts are available in the Studio Siesta section of this blog. Many Newbie lessons from SpanishPod released under Creative Commons Copyright are available (and free!) at Spanish by Choice. Other material from SpanishPod and spanishpod101.com is available at their respective websites by subscription (or by pirate bittorrent).